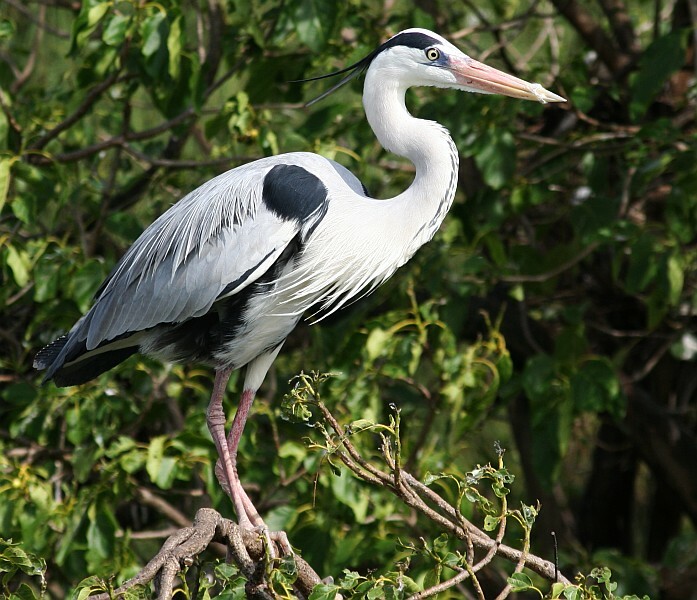 This animal, as you can see, is called a Grey Heron. 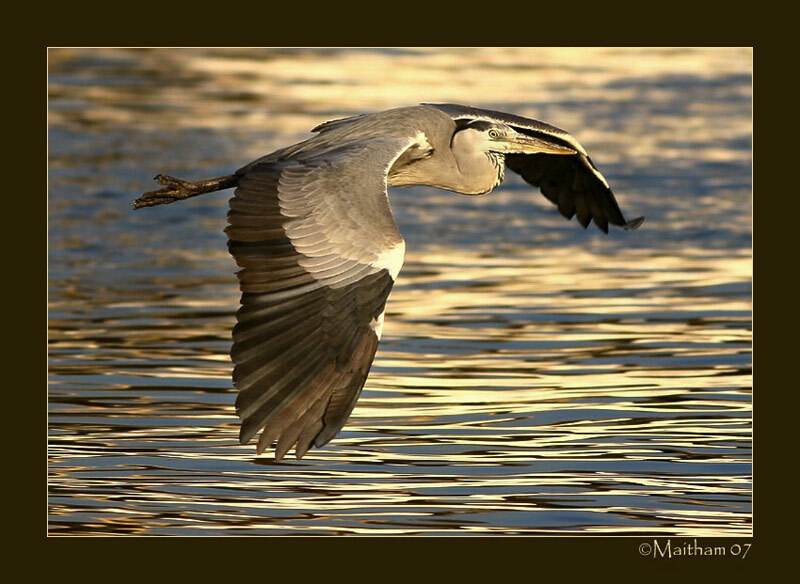 While a grey heron waits motionless, on the lookout for fish, it stands with its long neck kinked back. 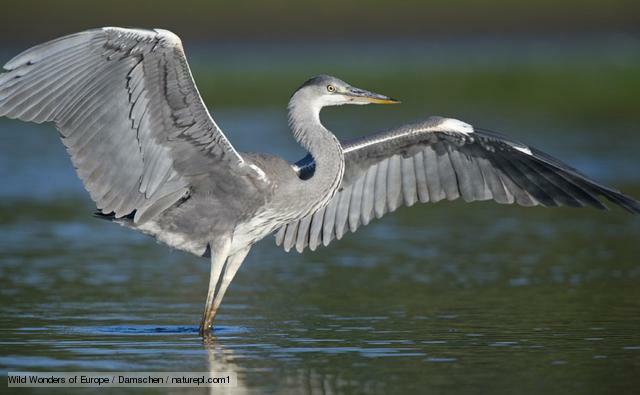 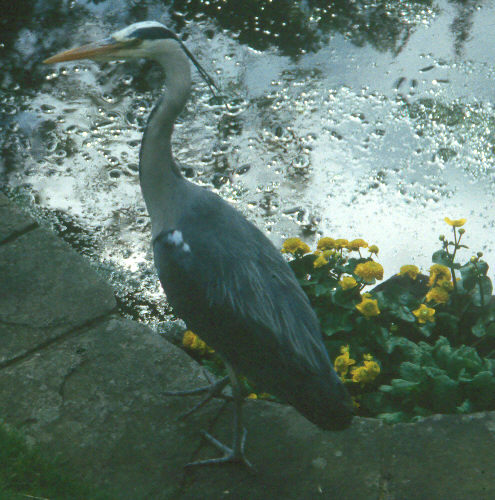 If it spots prey, the heron takes less than a second to react, shooting out its neck and bill to grab the victim.